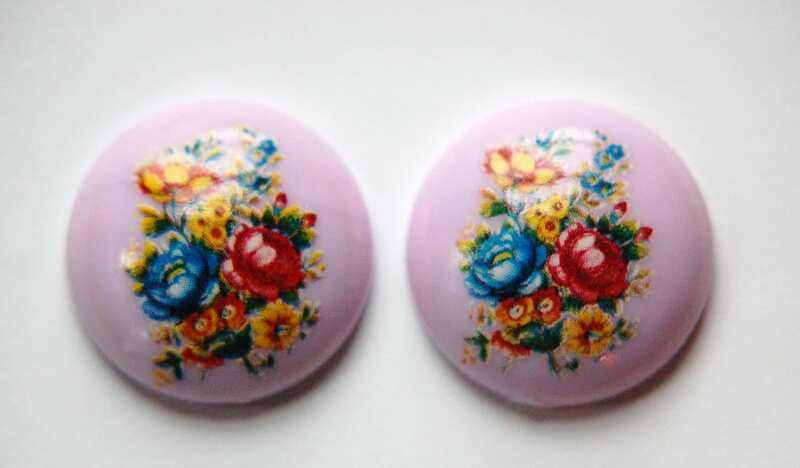 These are vintage purple plastic/acrylic cabochons. They have a floral design on top. These are domed on the front and flat on the back. They measure 24mm. You will receive 2 pieces. Beautiful colors and great quality. I love your shop and will be back! Quick and careful shipping, too. Thanks! I love the clarity and beauty of these. Fast ship. Thanks for the tracking data. Will save in favorites as buy again!